Bring a medium-sized pot of water to a boil and cook the broccoli simply two minutes; then pour into a cullender placed within the sink and let it drain well. Dice the ham whereas the broccoli drains. 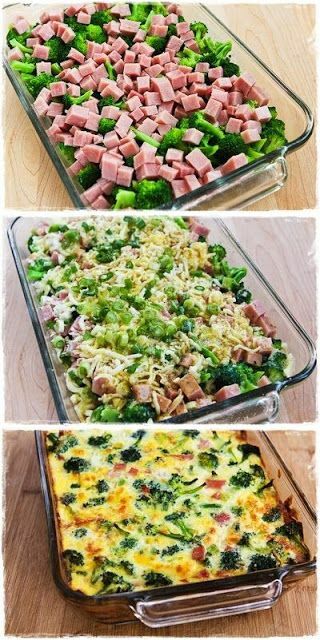 Layer broccoli, ham, Mozzarella, and inexperienced onions (if using) in casserole dish. Season with Spike Seasoning and fresh-ground black pepper and pour crushed egg over. Serve hot, with cream if desired. this could be unbroken within the electric refrigerator for a minimum of per week and leftover within the microwave. 0 Response to "Low-Carb Broccoli, Ham, and Mozzarella Baked with Eggs"